Imraan Freeman was just seven when he was diagnosed with cancer. Watch how his mother fought to keep him alive. It’s the beginning of a new term. Alarm clocks sound off, shrill reminders that it’s back to school. A chorus of “Five more minutes!” resounds through the bedrooms of children across South Africa. Not Imraan Freeman. Not today. 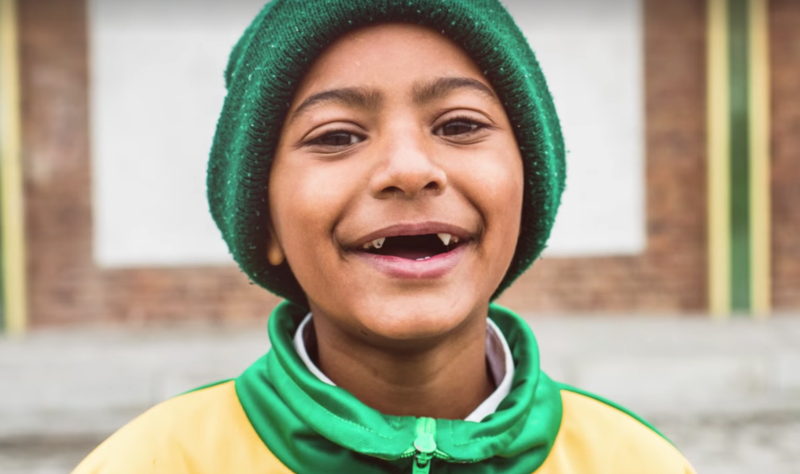 After spending three months in an oncology ward, the Grade 2 learner is itching to return to his friends, and his favourite subject – maths. He also has his long-term goals sorted. “I want to be a policeman to catch the skollies,” Imraan says. There’s no doubt he can. This past year, he proved what a fighter he is. A single parent, Faranaaz realised that she needed to be strong. “There’s a lot of mothers that don’t know which direction to go,” she says. “What I can tell them from experience is not to give up because the child is drawing strength from you.” In March this year, tests showed Imraan had no trace of illness. “When the doctor told me Imraan was cancer-free, I took my son’s hand and ran out of there because that’s no place a child should be,” Faranaaz says. Today, Imraan is in full recovery thanks to the tireless work of doctors, nurses, and volunteers. But it’s his mother’s love, unconditional and unfailing, that has kept him alive. “When I said I’m not burying my son at seven years old, I meant it,” Faranaaz says. Her resilience is mirrored in her son. “My message is to keep on fighting,” Imraan says.